If you aren’t aware of Negroni Week, get on board. Every year at the beginning of June, Imbibe Magazine and Campari get together to raise money for worthy causes across the US, each bar choosing its own charity to which to donate. Check out their website to see which bars across the country are celebrating and giving back. Now, a little on the Negroni: it’s a classic Italian cocktail that has been around since the early 1900s that is made with equal parts gin, Campari, and red vermouth with an orange peel garnish, served on the rocks. Campari is a bright red, bitter, Italian liqueur that gives this drink its unique flavor profile. The Negroni is considered an apéritif, which the Italians will sip before a meal to prepare their stomachs. 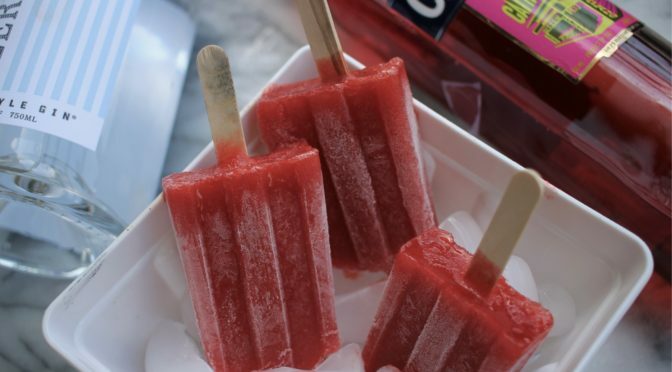 I know that we’ve all had a traditional Negroni or two this week, so to stir things up a little, I tried my hand at Strawberry Negroni Popsicles for a pool party yesterday! 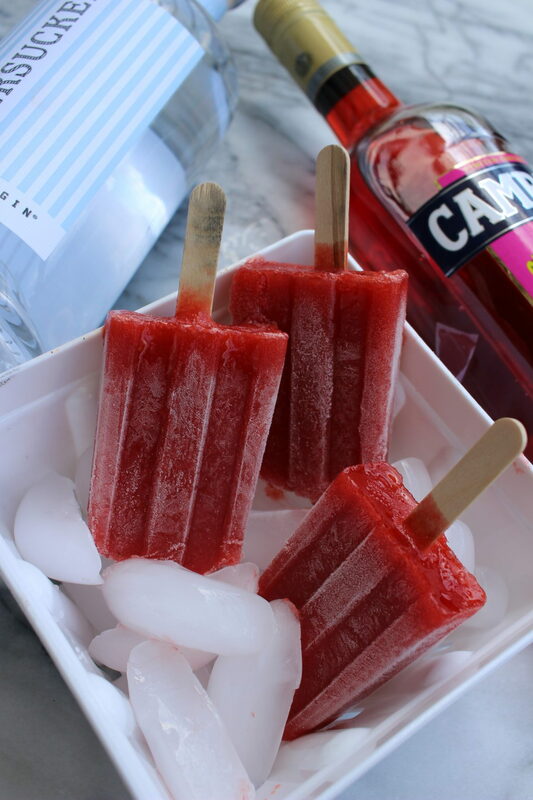 These pops are as easy to make as they could be and are a perfect way to cool down in this oppressive heat. Combine hulled strawberries and sugar in a blender, let them sit for 10-20min, then blend until smooth. Add other ingredients and blend for another 20 seconds. Freeze in popsicle molds for at least 8 hours.